Free | Turn Computer into A Digital Media Player with 5KPlayer! Reviews： Apple's creative solution in integrating a digital media player based on its APP Store kingdom - virtually this provides a smooth transition for users who've been familiar with the iOS ecosystem for quite a period of time. With the intelligent assistant Siri, this digital media player allows to you voice and order like "play Captain America" and responds to it. Aside from commonplace streaming platforms like Netflix, HBO GO and HBO Now, users with this digital player also obtain access to flexible sports live streaming, such as using the NBA and MLB APP to watching NBA playoffs on Apple TV. Apple TV's gaming profiles is less noteworthy, but it still has ample muscle for console games. Reviews: This digital media player is probably the first and best for 4K HDR content - hence extremely suitable for customers picky about the scope of colors when watching videos from YouTube, Hulu, Netflix, and on top of all, games - NVIDIA is the best in category for PC-quality game streaming like GeForce NOW thanks of the NVIDIA GameStream technology: Games purchased (downloaded) from Google Play Store enjoy very smooth translation to this digital media player when connected to TV, providing game-console-like experience if you're to purchase this player for a family with game players and videophile. 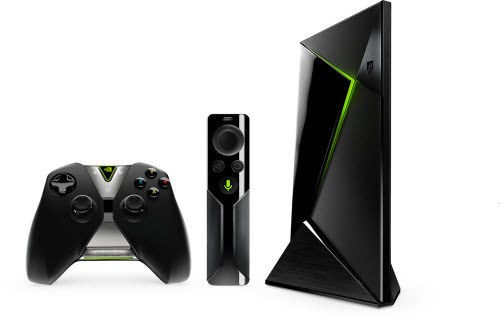 Tips: The NVIDIA SHILED pack come with the digital player, remote, controller(if you choose the extra pack), power adapter and a charging cable, you'll need to prepare another HDMI cable to connect it to TV display. 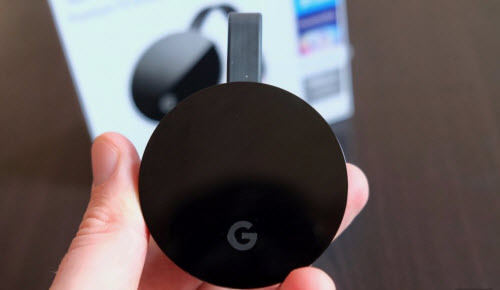 Reviews: Another fast runner in 4K HDR video streaming is Google's top-of-the-line digital media player - Chromecast Ultra: Developed from its 2015 forerunner, this little gadget proves more streaming effective dished in the just-as-before lightweight built. Chromecastis invisible - when magnetically plugs in to the backend of your TV, it virtually works with all popular video streaming APP like YouTube, Vevo, ESPN , etc, with Amazon Instant Video an exception. Though saving you a few more than the rest of digital media players recommended in this page, Chromecast Ultra is the only one without a real remote. Built-in Applications: Over 10,000 apps available. Remote Control: Yes, with an extra Alexa Voice Remote. ReviewThe classical Amazon Fire TV, with upgraded features than the $39.99 Fire TV Stick, virtually offers more stable streaming performance, and a sweet uplift to play 4K Ultra HD content. This digital player leaves a blank microSD slot in case you're thinking of expanding storage in the future, and it also leaves Bluetooth connectivity for Fire TV Game Controller if you're thinking of upgrading the equipment. Tip: Fire TV only connects to TV sets that support HDCP requirement, and you're suggested to check out the specs to see if it matches up with your TV. Review:Throughout Roku's complete lineup of digital media players we've come to this 2016 new member - Roku Streaming Stick 3rd-gen, a cost-effective choice if you don't have a 4K TV display. Dongle or set-top box? Most customers come to this puzzle when first started to choose a digital media player, in that dongles virtually works less reliably than a robust smart TV box. But truth is Roku 3 works just as well as any streaming devices. Review:This brand-new gadget that only hit the shelf on February 2019 seems an inspiring and integrated solution for cord-cutters! The all-in support for Google Player Store and Amazon Underground excites us - honestly the largest profile among all digital media players available out there in the market, which means you can not only download Netflix, Hulu, HBO and Amazon Video for standard free online streaming, but also match up the extender with your existing cable service like WatchESPN, HBO GO, etc associated with the paid cable account. 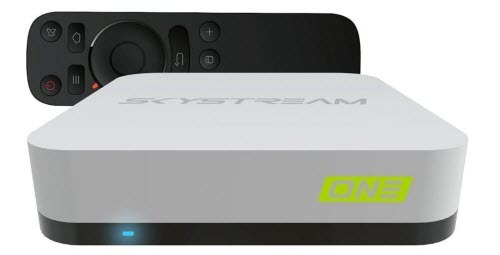 Developed by the XBMV/KODI team, SkyStream One is indeed a nice option for entertainment. Top 3 incredible USB media player for TV free download 2019 list here! Get the best USB player free to play any file in USB!